Staplehurst lies on a Roman road. Villages were late in coming to the Weald where isolated dens, or pig pastures, expanded into small farms and then into hamlets. 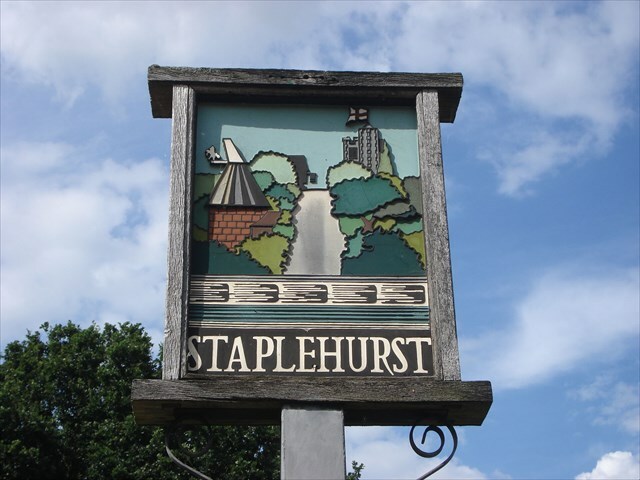 It was the presence of the church, probably built about 1150, which attracted people to one particular hamlet called Staplehurst, which means Post Wood. Next to you is a bench commemorating the EF anniversary of the library.